It is HARD to Believe! TARA has been around for 42 years! Thanks to all of you for making those years memorable, enjoyable, and endearing. 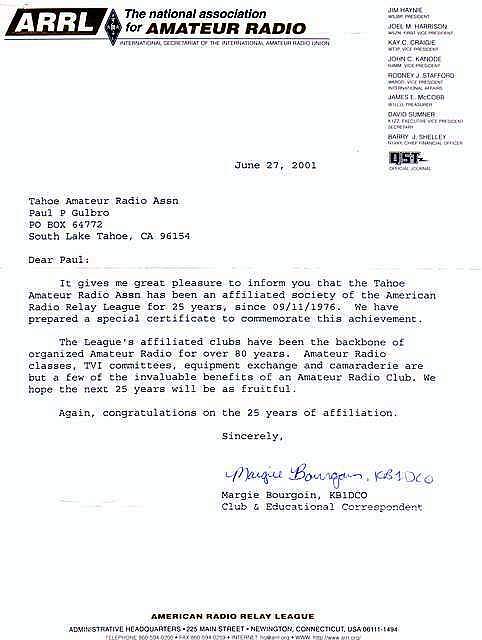 Click on the letter or certificate to get the full view. 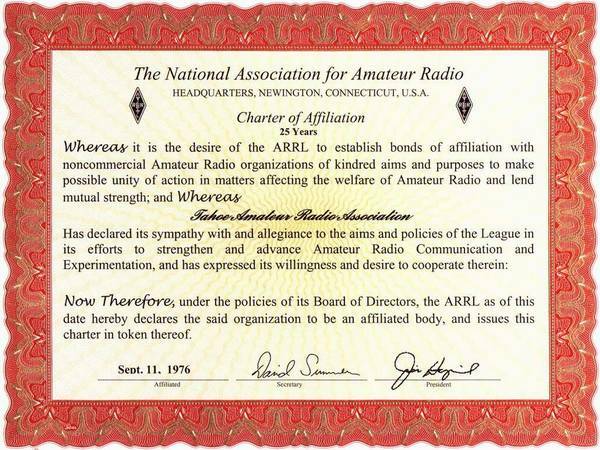 And Thanks to the ARRL for their guidance and support through out those years! And if you're interested, check out some pictures from those 41 years!